Step2 Flip And Doodle Easel Desk With Stool Just $49.99! Down From $65! PLUS FREE Shipping! Toys R Us is currently offering the Step2 Flip And Doodle Easel Desk With Stool for just $49.99 down from $64.99 PLUS FREE shipping! In comparison, Amazon has it for around $70! It’s a really good deal! 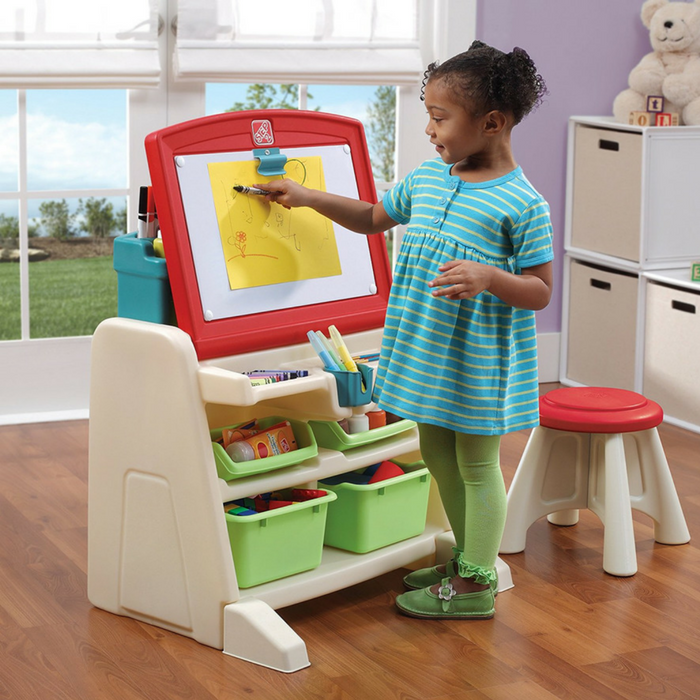 Little ones can enhance their artistic imaginations with the Flip & Doodle Easel Desk with Stool. This kid’s art desk features a dual design that allows kiddos to stand while drawing or fold the easel down into a desk. This toddler art set offers large amounts of storage for children to pick-up, organize and put away their art supplies. The modern design of the Flip & Doodle Easel Desk with Stool is sure to liven up any kid’s playroom or bedroom. A great present for your kids this holiday!